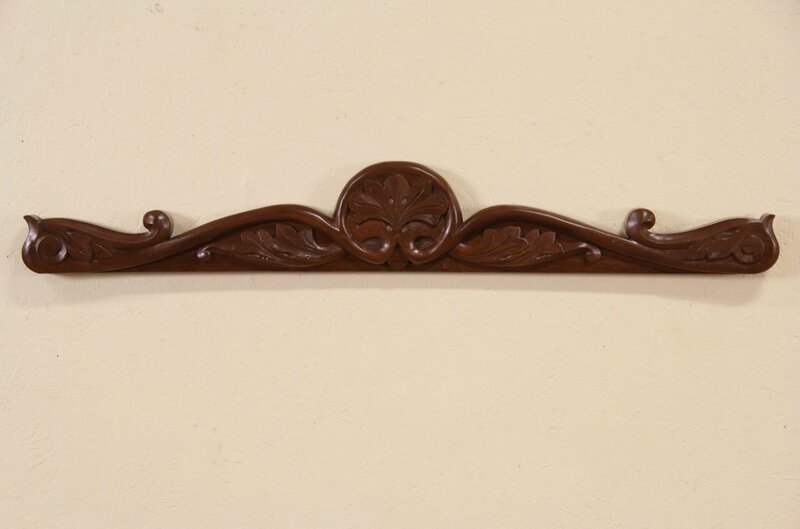 Hand carved of solid walnut about 1870, this architectural fragment crest has an excellent finish. American made, this antique measures 40" wide, 6" tall and 1 1/2" deep. Please call or email for a Quote through our UPS Store.